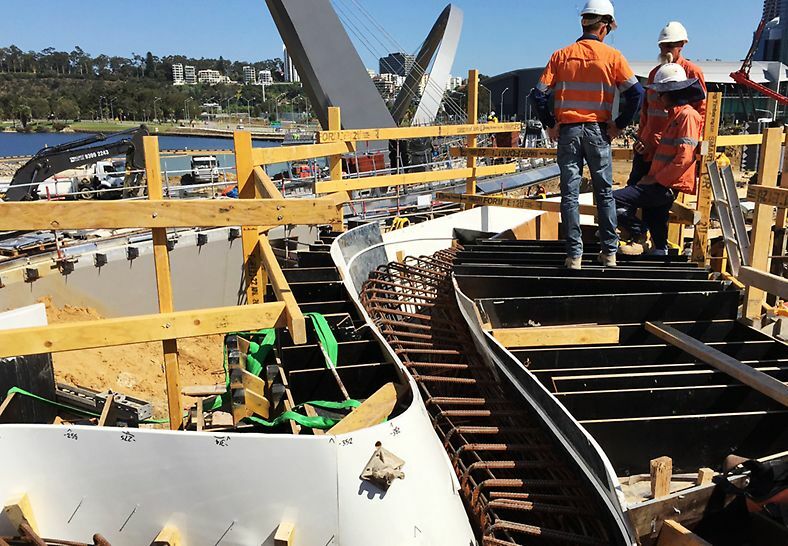 The $2.6billion Elizabeth Quay project is a plan to revitalise the city by reconnecting the city centre with the Swan River. A focal point of the project is a man-made island surrounded by a newly constructed inlet, and a key component of the island is a series of curved, sometimes also inclined, coloured concrete architechtural feature walls. 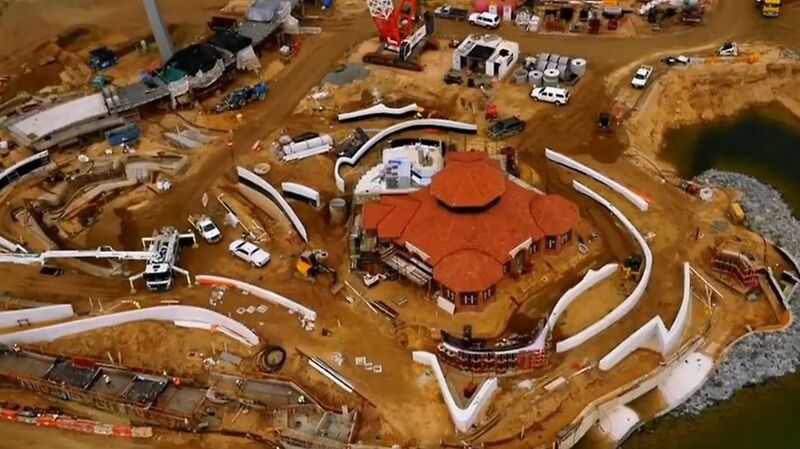 RUNDFLEX was the wall formwork system chosen for the bulk of the work, but due to the no fixed radii curves anywhere in the project, templates had to be created for each and every use, and as a consequence, accurate panel placement was vital. PERI engineers designed 35 pre-assembled standard RUNDFLEX panels in total with radius of 2.5m upwards, which could be adjusted to continuously changing radii. In order to conform to the unique shapes, designs using up to three PERI formwork systems were sometimes required; TRIO, RUNDFLEX and VARIO with gusset plywood. 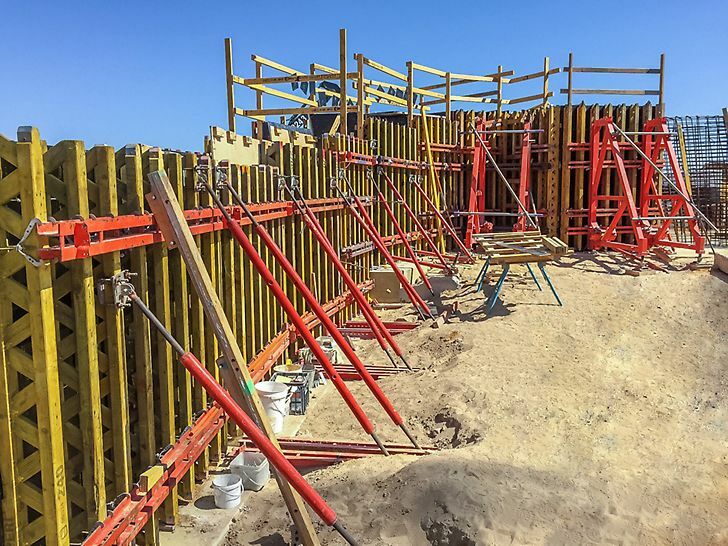 VARIO formwork would provide the basic alignment, with plywood gussets fixed to it to provide the final intricate shape for the wall 19. 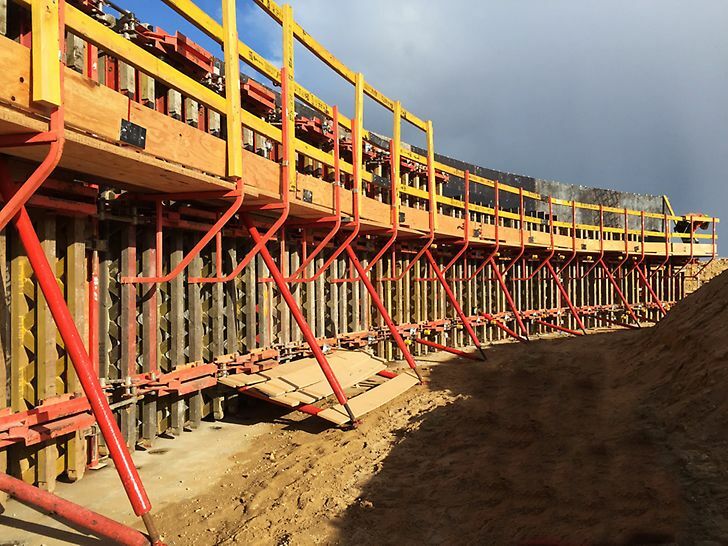 SB Brace Frames offered single-sided support to the VARIO formwork in areas where ties could not be used. Providing the 3D modelling – CAD template files to the client who used an off-site joinery to fabricate the various modules, which were then transported to site and mounted to the VARIO panels before installation.